VIGON® N 600 is an innovative defluxing product with a revolutionary pH-neutral formulation. Its excellent cleaning performance and ability to remove a wide range of flux residues under pH-neutral conditions is unprecedented. 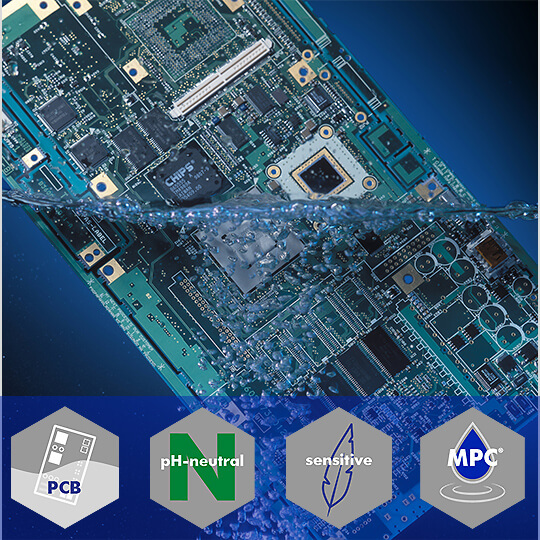 Due to its neutral pH-value, the cleaning agent also demonstrates a high level of material compatibility with sensitive metals and polymers on PCBs.